Izzy wizzy let&apos;s get busy! Sooty is back in a brand-new show with guaranteed giggles for the whole family! Direct from their new series on itv Sooty, Sweep and Soo head into town accompanied by TV’s Richard Cadell. 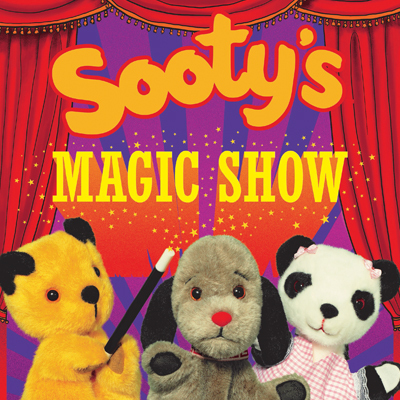 Sooty has a magic wand for every occasion - but with Sweep as his magical assistant the tricks are a disaster. Will Soo and Richard find the right magic wand before the theatre manager stops the show? Expect fabulous magic, music and mayhem with buckets full of audience participation. A spectacular treat for Sooty fans old and new - plus a chance to meet Sooty and Richard after the show! "Works like a dream - your children will love it" The Guardian.